For players seeking compression below the waist and groin area, with enhanced venting on inner thighs and a loose fit on the outer thighs, the Shock Doctor Ultra PowerStride jock Shorts is for you. The Ultra PowerStride short is the perfect combination for lightweight comfort and performance. The AirCore Cup is designed to provide equal protection to standard cups but sheds some of the weight, in turn allowing you to get from red line to red line faster. The cup is made of three layers of padding; one rigid, co-polymer layer sandwiched between softer but protective layers of compressed foam and fabric. This cup is housed in a newly-designed ultra comfort cup pocket, which holds the cup in place without restricting your natural movements on the ice. Keep yourself covered, and put your focus where it belongs; On the game. Please note: Jocks and underwear are not returnable/exchangeable for any reasons except for shipper error. 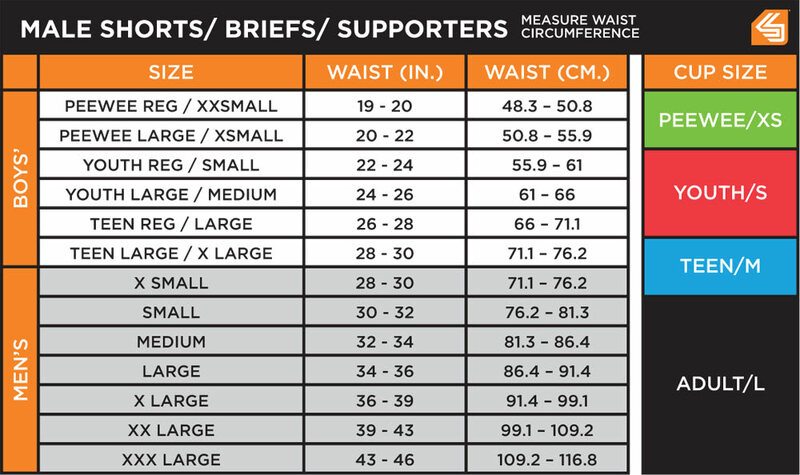 Material: 4-Way Stretch The fabric of which this product is made. Sock Attachment: Velcro Does the product feature sock attachments?